<rant> Since I’ve been in the digital space, I have worked under the title “web analyst,” using “web analytics” tools like Google Analytics, Adobe Analytics, and WebTrends. However, the preface “web” is misleading. The term “digital analytics”, though broader, still doesn’t do justice to the capabilities of these platforms. Organizations of all sizes, from small companies to enterprises, often overlook this capability. Their offline marketing efforts go unmonitored and they continue to throw marketing dollars at a wall, hoping something sticks. By measuring offline marketing tactics with tools like Google Analytics (GA), you can directly tie those efforts to downstream behaviors, leads, and even sales. This then grants the ability to refine those efforts, much like you do with digital efforts such as Paid Search. Below are the steps you can take to measure your organization’s offline marketing with Google Analytics. Campaign tracking with Google Analytics is pretty simple. In order to differentiate campaign traffic from standard referral or direct traffic, GA relies on URL parameter values. For more information about how campaign tagging works, check out Google’s official documentation. This is pretty straight forward for digital / online advertising, however offline advertising is a bit more involved. The key to tracking offline campaigns is the vanity URL. A vanity URL is a short, easy to remember alternative to standard, and typically longer page URLs. The vanity URL is preferable when it comes to offline advertising like billboards, as drivers typically only spend a few seconds at most viewing it. A longer URL would be difficult to remember. For example, if my landing page is www.mysite.com/products/widgets/widget-5000, a much less-wieldly vanity URL could be www.mysite.com/go. The vanity URL is typically set to redirect to the full URL. The most important part of tracking these ads is thinking ahead and mapping out your needs. Below are some steps to take to do offline campaign tracking right. Like all analytics efforts, great insights only come from great measurement strategies. Look at your marketing calendar for the next 6-12 months. You’ll not only want to identify what offline marketing campaigns you’ll be running and when, but also how many variations and placements as well. Highlight any areas where an ad variation will appear across multiple channels or mediums (for instance the same messaging across radio and print ads). It’s important to know the landscape and where overlap might exist, as it might be valuable to be able to view data at those levels. Do you need to differentiate between customer segments that arrive from these ads? What level of granularity do you need to slice and dice this data by? At the individual billboard level, or simply at a regional level? How will you need to analyze performance of these channels and campaigns over time (quarterly, yearly, etc.)? Knowing how granular your data needs to be will dictate how you go about tracking these campaigns. It will also help you future-proof your campaign measurement strategy so historical analysis is as easy as possible. Need help building a measurement strategy? Send us a line! Now that you know what questions will need to be answered about these efforts as well as how success will be gauged, it’s time to create / identify all of your landing page variants. Depending on your answers to questions like those listed above, you’ll need to create tagged versions of these landing page URLs that follow the needed hierarchy. As you can see, we identify that it came from the Route 422 billboard via the utm_content parameter. Note the different vanity URL for this billboard. Once again, you can see that we used the utm_content field to specify that this traffic came from the Route 76 billboard. NOTE: This is assuming that the above 2 vanity URLs are only used in those instances. They should never be used anywhere else (online or offline) unless you wish to also track multiple ads with the same identifiers. This was just one example. You could also use the other URL parameters to differentiate between billboards and print, different campaigns or messaging on the same channels, etc. The combinations are endless. It just depends on how you need to see the data. This is why planning ahead with your campaign tagging strategies is so crucial. Once all URLs are tagged and vanity URLs are set up to redirect accordingly, ALWAYS test before sending the vanity URLs out to be printed or used! You should ensure that they redirect properly, preserve the campaign tagging parameters, and that everything works as intended. 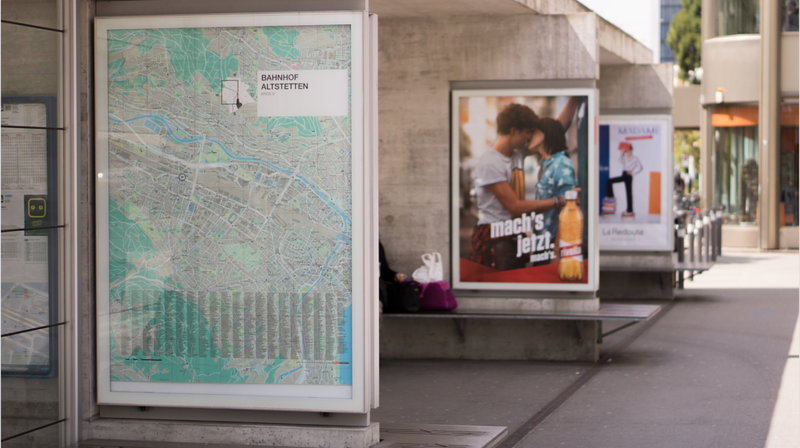 Unlike digital ads, offline ads are much more permanent and changes cannot be made easily. Once everything’s implemented and the ads are live, you should start to see data for traffic coming from them. So what can you do with this data? Just about everything you can do with data from digital ads! Just like anything else, this method isn’t perfect. It obviously cannot help identify people that may have seen the billboard or heard the radio ad but proceeded to the main domain or used Google to find it when they got home. This can give you great insights into specific target audiences depending on messaging or even geographic location, and not just based on the location that GA picks up based on their IP address. If you followed a similar method as the above example, you can use this data to gauge effectiveness based on WHERE the person actually saw the ad. This data can also provide insights into customer decision process and journeys. It can answer questions on when brand exposure first occurs, and how messaging effectiveness could vary depending on channel, timing or location. It can also shine more light on how channels work together to get customers to purchase. As you can see, setting up the mechanisms for offline tracking is the easy part. It’s the measurement strategy that requires the most attention. But once you have it all thought out, the process becomes regimented and the insights gained become invaluable. Gone are the days of throwing advertising at a wall and hoping something sticks. Have you had success with measuring offline advertising with Google Analytics? Share your experiences or questions in the comments below!